This poor little guy was living on the streets of San Marcos suffering with CTVT, Canine Transferable Venereal Tumors for over a year. Lucky for him, a local resident named Terry took pity on him and called Ayuda to see if there was anything that could be done. An appointment was made with Dr. Miguel and Terry transported him by boat to Panajachel. Once diagnosed, a treatment schedule was arranged and the first chemo treatment was administered that day. Manchito is fortunate to have Terry for a friend! She has agreed to transport him weekly from San Marcos for chemo treatments until his tumor is gone, typically 4-6 weeks. 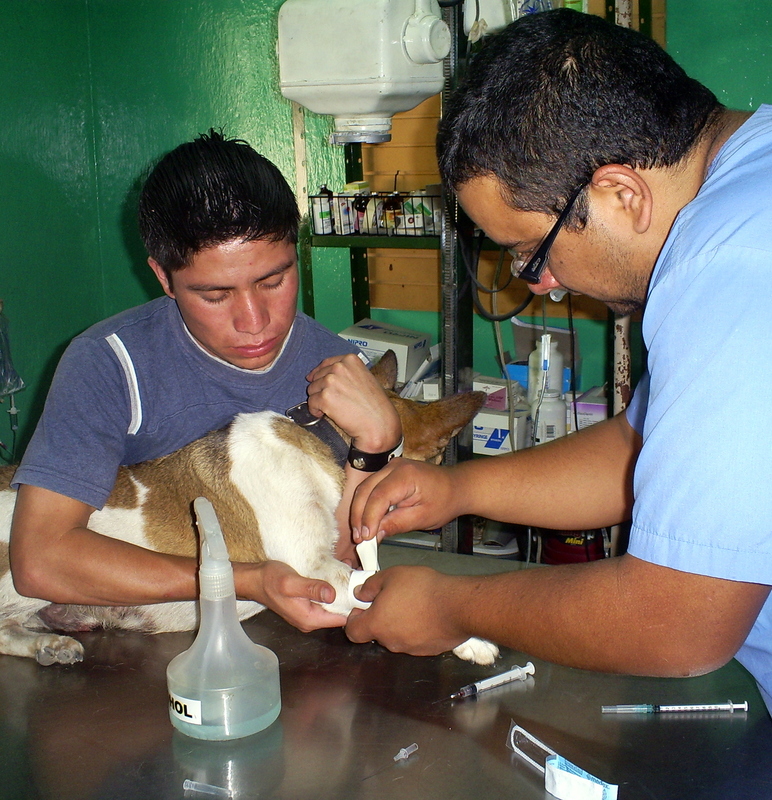 As we strive to reduce and stabilize the population of dogs and cats living in the Lake Atitlan basin region, we also work to improve the lives of those already here. Sexually transmitted, CTVT is a regularly seen problem and one of the big reasons we encourage the sterilization of male dogs. Thank you Terry for bringing your new best friend to our attention! FOOTNOTE: Dr. Miguel reported seeing and treating his first Cornovirus patient last week. This virus is one that our combo vaccines protect against. Help us fight these deadly diseases. Please donate today!